Indian chicken jalfrezi curry. The original curry predates Europeans’ presence in India by about 4,000 years. - Photograph by Joe Gough/iStockphoto/Thinkstock. Archaeologists have long known how to spot some ancient leftovers. The biggest breakthrough came in the 1960s, when excavators began to drop soil from their sites—particularly from places where food likely was prepared—onto mesh screens. The scientists then washed the earth away with water, leaving behind little bits of stone, animal bones, and tiny seeds of wheat, barley, millets, and beans. This flotation method allowed scientists to piece together a rough picture of an ancient diet. “But spices are absent in macro-botanical record,” says archaeologist Arunima Kashyap at the University of Washington at Vancouver, who, along with Steve Weber, made the recent proto-curry discovery. What does this mean for how we think about South Asian cuisine today? 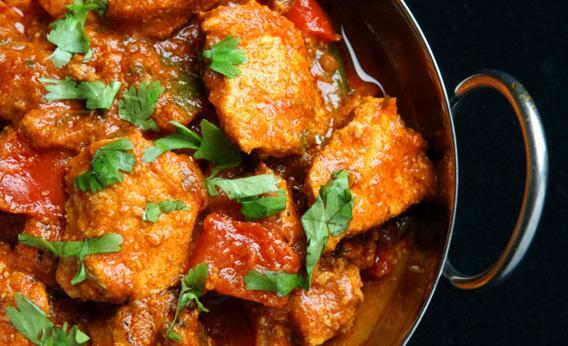 Thanks to Kashyap and Weber, we know that curry is not only among the world’s most popular dishes; it also may be the oldest continuously prepared cuisine on the planet. Vasant Shinde, an archaeologist at Pune University in India who directs the dig at Farmana, is delighted with the discovery. He says the find demonstrates that the Indus civilization pioneered not just good plumbing and well-planned cities, but one of the world's most loved cuisines. "I have been arguing for a long time that the [Indus people] are responsible for introducing most of the traditions in south Asia," he says, "and that includes tandoori chicken."